If you find the truth, will you believe it? Is the United States a Republic? "And God said, Let there be lights in the firmament of the heaven to divide the day from the night; and let them be for signs, and for seasons (mow'ed), and for days, and for years" (Genesis 1:14). "Speak unto the children of Israel, and say unto them, Concerning the feasts (mow'ed) of the LORD, which ye shall proclaim to be holy convocations, even these are My feasts (mow'ed)" (Leviticus 23:2). "He appointed the moon for seasons (mow'ed)" (Psalm 104:19). 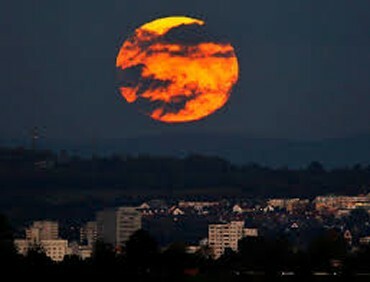 "Blow the trumpet at the New Moon, at the full moon, on our feast day" (Psalm 81:3 [Amplified]). 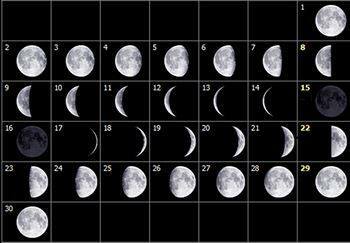 The following calendar is for the 5th lunation (month) of the Biblical year 6035. It contains days in July/August of the Gregorian calendar year 2029. This is the Biblical Calendar as found within the Bible. The first day of the month is the New Moon day. “Blow up the trumpet in the new moon, in the time appointed, on our solemn feast day” (Psalm 81:3). On this day the two silver trumpets, mentioned in Numbers 10:2, 10, were to be sounded. Every lunation or Biblical month has the Sabbaths on the 8th, the 15th, the 22nd, and 29th days of the month. 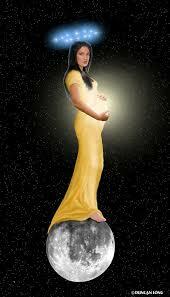 New Moon day is always on the 1st day of the month.